Kirkton was the main medieval village of Cumbrae and existed for many centuries before Millport was first built. As the name suggests this was a town which formed about the church that was erected there. The church stood at the centre of the old graveyard there and Christian gravemarkers found on site are of a type unique to the Clyde islands of Bute, Arran and Cumbrae. At Kingarth in Bute there is the church of St Blane the first monastic church in the Clyde islands. Kirkton would have been a daughter church. The churches are quite close as communication at that time was by sea and it is no great distance from south Bute to Sheriff's Port. The graveyard is roughly circular in shape which indicates an early Christian occupation. St Blanes is on a hillside with a water supply. It also has good views of the sea to watch for any attackers and behind it are hillsides to hide in. When you compare this to the Kirkton site we find that it has all of these too. 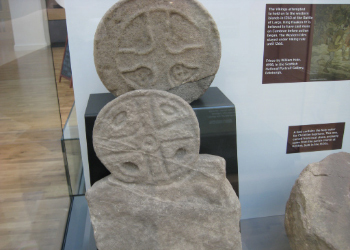 In later medieval times Great Cumbrae was part of Largs parish and the Kirkton church was under the control of Largs church both of which were dedicated to St Columba. Largs in turn was controlled by Glasgow diocese until 1318 when Walter the High Steward of Scotland transferred Largs parish to Paisley Abbey. Its revenues were to help with its reconstruction after its destruction during the Wars of Independence. In 1612 at Kirkton the old 'Sanct Colmis Kirke' was replaced by a new parish church of 'fine hewn stone'. This in turn was taken down and a church of 380 seats built on its site in 1802. 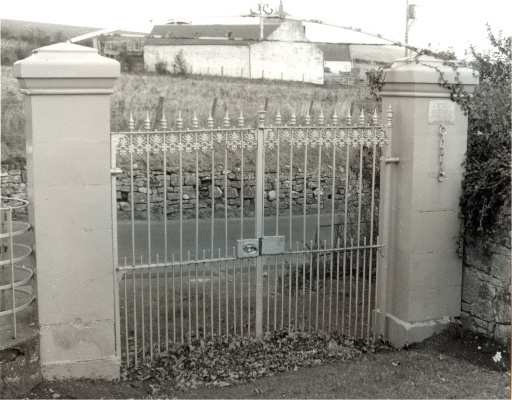 But by this time fewer people lived in Kirkton and the population of the parish had grown too large for the Kirkton church. 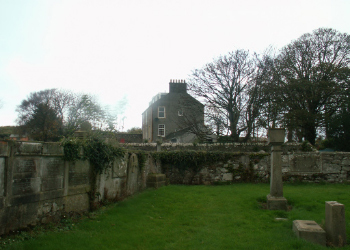 In 1837 the little Kirton church was pulled down and its stones carted down the hill to the new town of Millport and used to build a new church of 750 seats. The old graveyard of the Kirkton church continued to be used and is full of interesting monuments to Cumbrae's inhabitants. After the Treaty of Perth in 1266 Kirkton and other lands on Cumbrae belonged to the Crown. They were managed by the Sheriffs of Bute who used Cumbrae as a hunting forest. The first sheriff was John Stewart, the Black Stewart, illegitimate son of Robert II. In 1385 he was made Sheriff of Arran, Bute and Cumbrae and Buteshire was thus created. He was succeeded by his son James who in turn was succeeded by his son Ninian. Ninian's son John was known to reside in the manor house of Upper Kirkton and his two sons, Patrick and John, obtained feus of the farmlands in 1566. But those Stewart families became extinct and the lands reverted to the Bute estate. One of the Sheriffs, James Stewart, who succeeded in 1539 got himself into trouble with the Regent and had to mortgage Kirkton to his father-in-law John Fairlie of Fairlie. His son John managed to redeem the property. John's grandson, Sir James Stewart of Kirktown, was created a Baronet of Nova Scotia in 1627. His son Sir Dougald Stuart suffered losses in the civil war and mortgaged Kirkton to John Boyle of Kelburn. His son Sir James, who was created Earl of Bute in 1703, paid his father's debt of £76,169 for the Cumbrae lands. 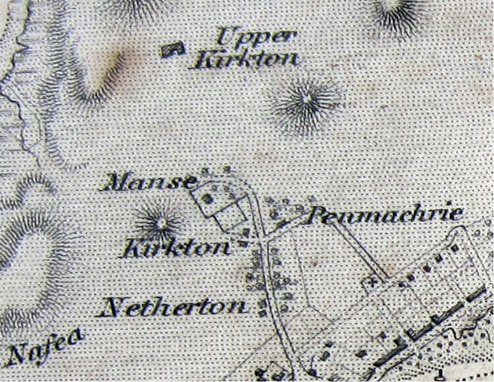 Kirkton remained the property of the Stuarts of Bute until 1999 when most of their land on Cumbrae was put up for sale.